Running Android Apps and Games on a Windows Machine is no more a hard thing to do now, thanks to the Android Emulators available today. 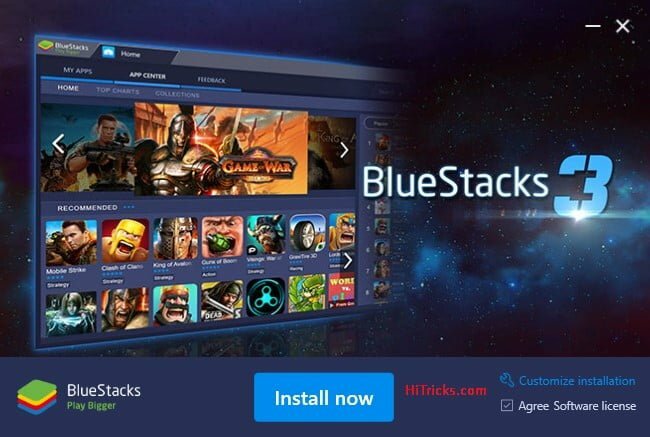 I am happy to announce that the most famous and one of the oldest Android Emulator, Bluestacks, has released their 3rd Major Upgrade, known as Bluestacks 3. It is available for downloading now. This comes after their previous release Bluestacks and Bluestacks 2 which are also available here in case you might want to check them out. 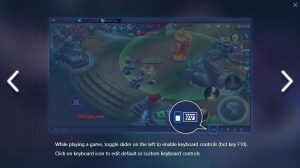 Needless to say, Bluestacks 3 comes with new features and improvements than the earlier versions. Let’s check them out. 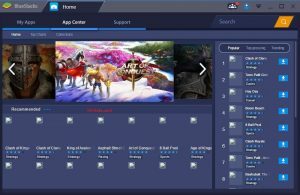 Bluestacks worked hard to eliminate the gaming difficulties faced by users while porting an Android Game on the Windows Screen. 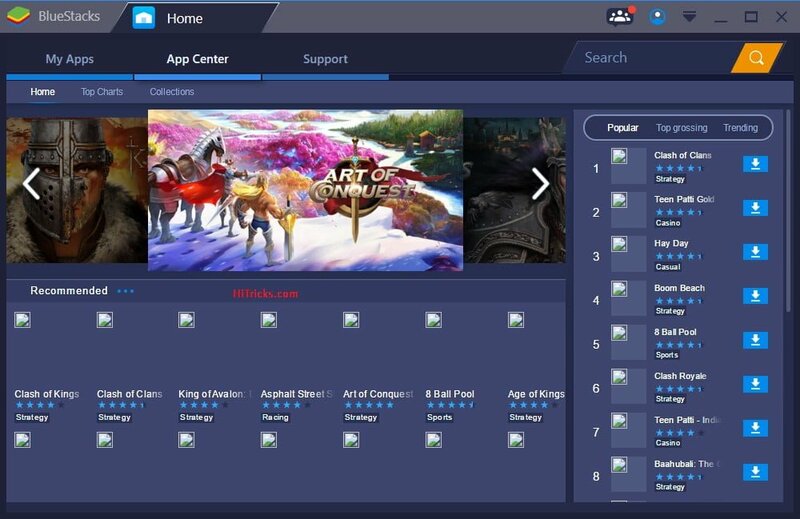 Here are the features you will get from the latest Bluestacks 3. In the earlier versions, Bluestacks used to consume a fixed amount of RAM based on the apps and games you were running. 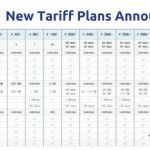 Say you are running a few massive games, your computer would become slow. But now, with this latest release, this won’t happen anymore. 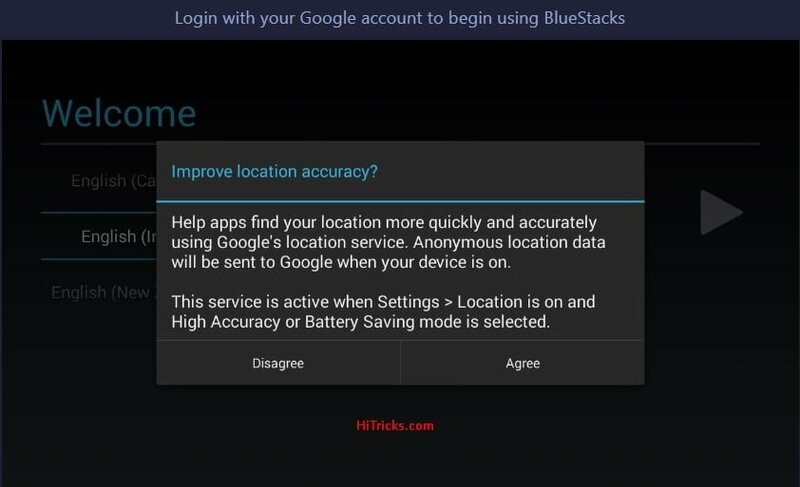 Bluestacks first checks your computer hardware parameters and adjusts itself so that no matter how much apps you run, your computer won’t lag anymore. It is designed to give you the best visual effects and performance. Don’t remain bound by geographical borders anymore. 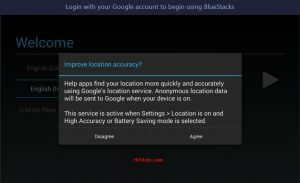 You can try out any apps from virtually any part of the world with the in-app location changing settings available on Bluestacks. 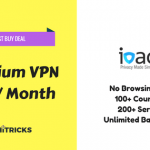 It will help you a lot in accessing unavailable services for your location, as well as playing any game appearing from any other country. Suppose a promotion is being offered to USA players, you can avail it from the UK or other countries. Missing Game Controls? No more! 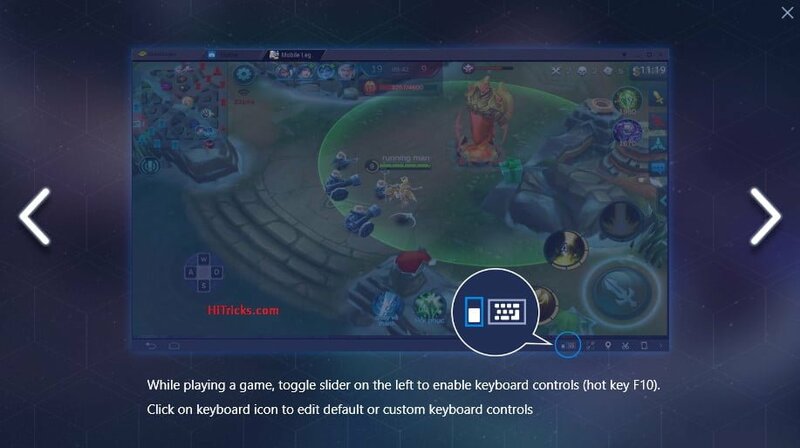 With Bluestacks 3 you can set your custom keys for various in-game actions like Swiping, Jumping, Moving Left or Right, etc. And that’s not all; you can set different keys for each game. There is also a dedicated Shooting Mode for shooting games that will make you feel at home. Another mode is ‘MOBA’ or Multiple Online Battle Arena Mode made for playing RPG (Role Playing Games) with ease. 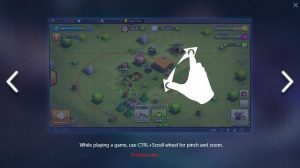 Bluestacks 3 supports Live Streaming. So, mostly, you can stream your Games live with your audience. You can also stream other on-screen and off-screen stuff quickly. This is a much-needed feature finally utilized by Bluestacks. And, best of all, no special settings are required, they work just like a regular Android mobile. 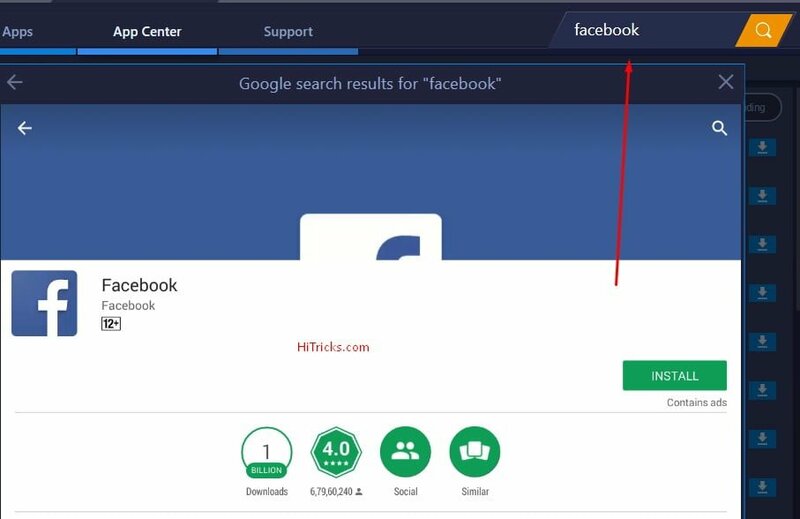 Bluestacks has prepared a dedicated App Center (similar to android market) with useful information about apps and games including Screenshots, Description, Ratings, and Reviews, etc. It will also show you the apps and games loved by the users most and downloaded the most. It also learns your browsing habits and suggests you apps and games based on that. 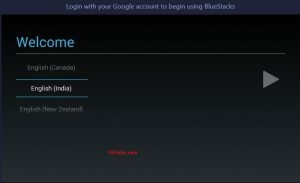 This is an exclusive feature only available for Bluestacks users and not for regular Android Users. 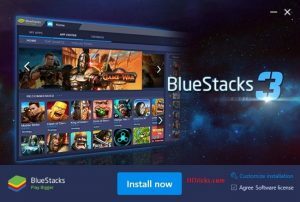 Bluestacks has partnered with Apps and Game Developers to offer you incentives that you won’t find anywhere else. You may get paid stuff for free, or some bonus coins for your game, a free perk, skins, characters, gold, gems, and many more exciting stuff regularly. 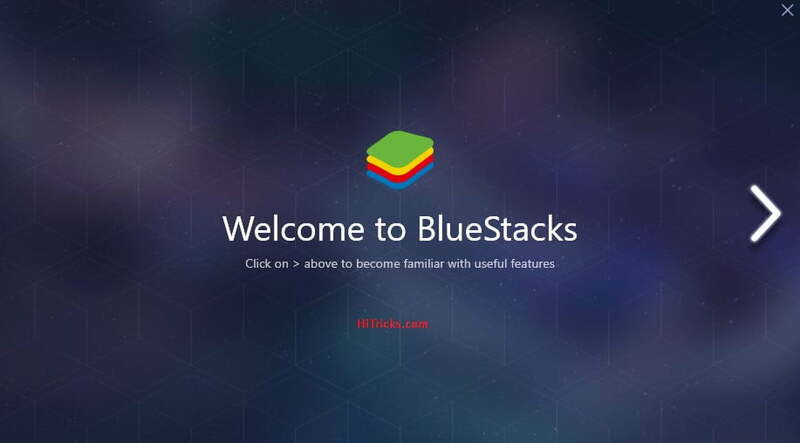 Bluestacks Select is also an exclusive feature only available for Bluestacks. 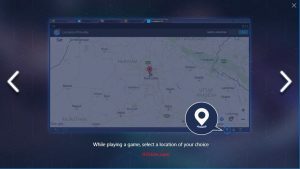 It is made for the Game Developers to connect with Gamers on Bluestacks. The developers can interact, schedule events, offer special promotions, etc. to the players. 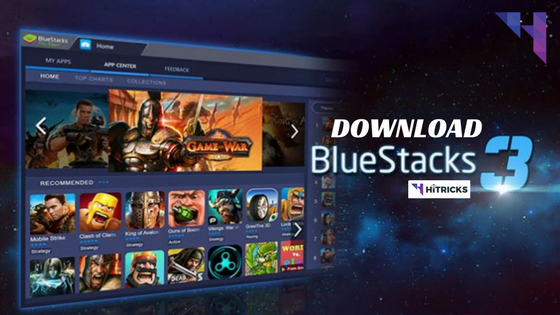 Bluestacks Friends is the very own chatting platform for Bluestacks users. You can get in touch with your friends from directly within it. You can connect with your friends from your Google contacts, Steam or Facebook. 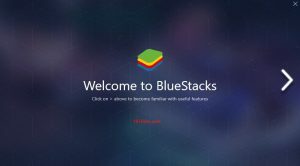 Time for you to try out the Bluestacks 3 for yourself. Here is the download link. 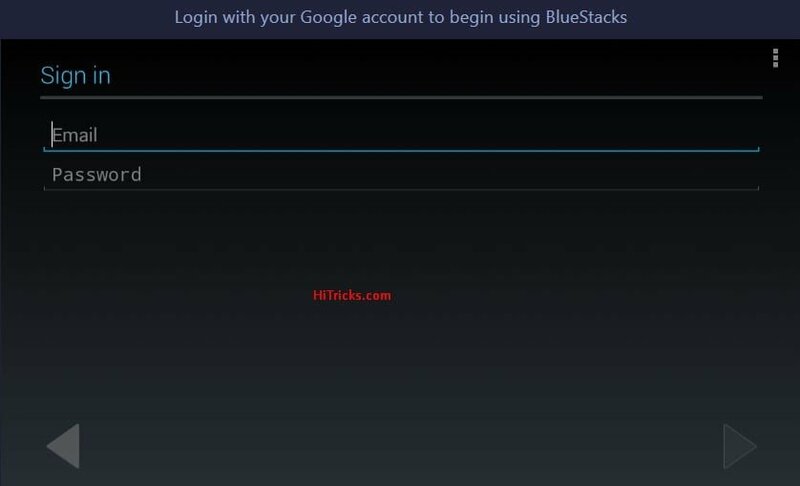 How to Install Bluestacks 3 on Windows? 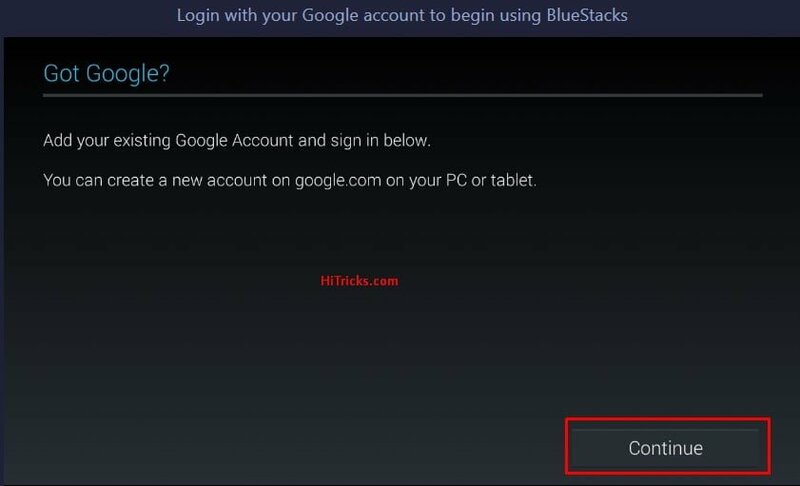 Here is the step by step guide to Install Bluestacks 3 on Windows. 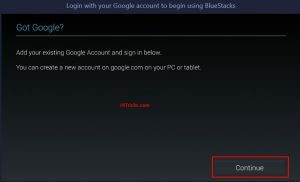 This is Important: Before installing Bluestacks 3, make sure you have completely uninstalled Bluestacks or Bluestacks 2 if you have them installed. Now, Run the Exe File you Downloaded. You shall see this window after granting necessary permissions. Just click on Install Now, and you are done. It will show you some progress meters while it extracts the game files for you. 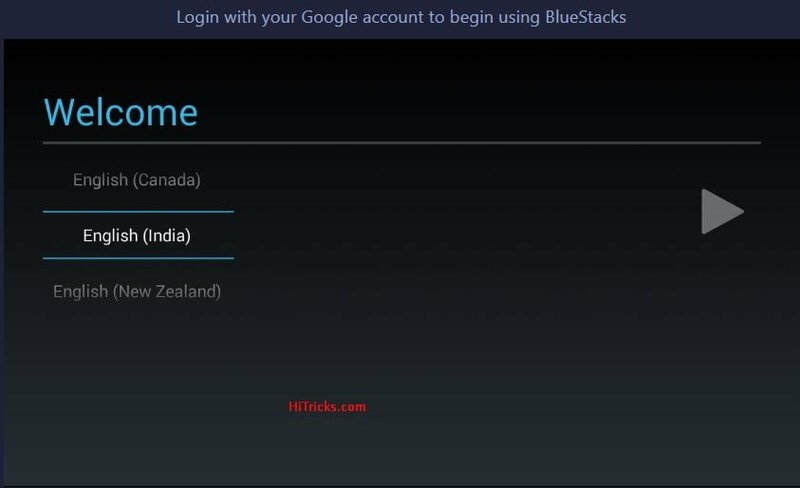 It will automatically install Bluestacks 3 for you. You don’t need to configure any settings. Personally, I like to configure settings like Install Location, etc. manually, but this makes it easier for users to spend less time in setting up than actually using it for the first time. Anyways, after it finishes installing, you shall find this screen. 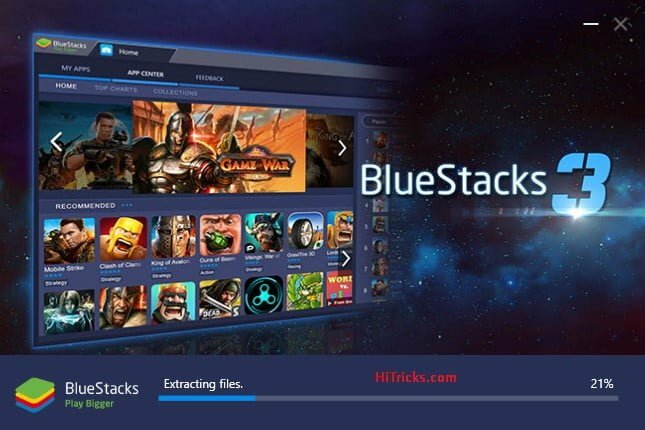 Click on the arrow to find out the latest features of Bluestacks. Now it will ask you to login with your Google Account to enable Google based services. We recommend you to login with your existing account to use Google Play, and access other Google features like Drive, Gmail, etc. It will make your experience seamless right from your smartphone to your computer. Don’t worry; it is safe. When it asks for Improving Location Accuracy, click on Agree. Now it will show you this screen. Choose your desired language. Now it will ask for your Google Account Login Credentials. Click Continue and Enter your Google Email and Password. If you have 2 Step Verification Enabled, then it will redirect you to a browser where you can complete the additional verification. 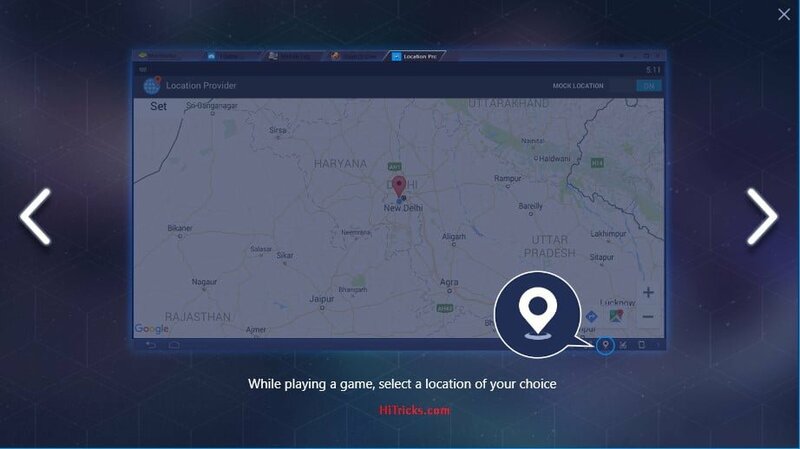 Finally, it will ask you some more permissions and your name, after which, you will be taken to the main screen of Bluestacks straight. For some reason, the images didn’t load at the first run for me. Oops! You can try out the Search Feature to search for any app and install it from Play Store. Congratulations, you have successfully installed on your Windows Machine. Enjoy! 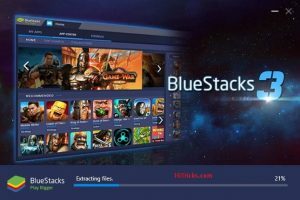 Thank you for reading our post on Bluestacks 3. I hope all your queries regarding Bluestacks 3 is resolved by now. Time to test it out yourself. Go ahead and download it. Well, don’t forget to share it with your friends on Facebook and let them try it out too. Use the social sharing buttons below. Want to say thumbs up? You can do so in the comments section below. I will be waiting for your feedbacks. I will be back soon with more exciting updates. Till then, stay tuned! Bluestacks 3 is dope, bro! Some people said Pokemon GO isn’t working on Bluestacks anymore, but for me, it’s working. I’ve also written a guide on how to play Pokemon GO on PC on my blog. Thanks for the recommendation, this is the best emulator, literally! Wow, Bluestacks 3 is awesome. Thanks for recommending it…. Wooohooooo !! !